Trauma Center, Emergency Center, two levels of advanced operating suites, single-patient hospital rooms. Additional buildings involved include a new parking garage and central utility plant. Profile: University Hospital is the leading Level I Trauma Center for Bexar County and all of South Texas. UHS is committed to training the next generation of healthcare professionals and developing new and better ways to provide care and improve patient outcomes through clinical research and advanced technology. The new 10-story hospital tower at University Hospital provides the means to grow from a 498-bed facility to 721 beds, and offers the latest technologies to support extensive medical systems and advanced treatment options.Additional buildings involved include a new parking garage and central utility plant to support the extensive growth of the University Hospital project. Services: DataCom Design Group was selected to provide IT, Nurse Call/Code Blue, RFID, DAS paging, security, audiovisual, and outside plant design for communications connectivity. Our firm understands that rapid advancements in technology require diligent planning for healthcare facilities. 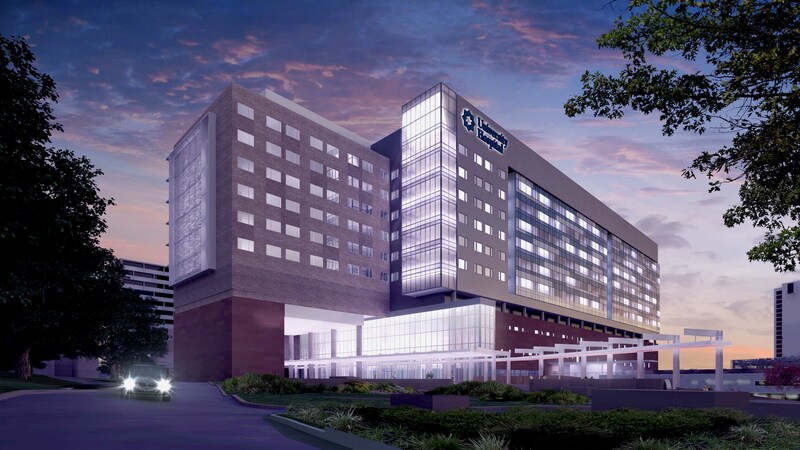 Working closely with the Owner, our design approach set the technology standards for the new hospital tower, as well as the downtown hospital renovation, which was a separate project from the Tower. Working on the design for more than two and a half years, our consultants provided design services to leverage technology and improve operations to meet the future demands of University Hospital's patient care delivery.